Discussion in 'Game Update Notes' started by ps_nicto, Jun 27, 2018. All PC servers will be taken offline for an update at 6 AM PT on Thursday, June 28th, 2018. Warpgate instability became a disruptive element in the war on Auraxis. In an attempt to circumvent the blackouts, operatives scour less occupied land masses to wrest control of forgotten technology. We'll be holding Independence Day festivities starting the 4th of July and running through the 8th of July. ALL players will receive DOUBLE EXPERIENCE during the event; Infantry Gear will be discounted by 40%; and special time-limited event items will be available in the Depot. You'll also find the FREEDOM THRUSTERS available in your Light Assault infantry loadouts. 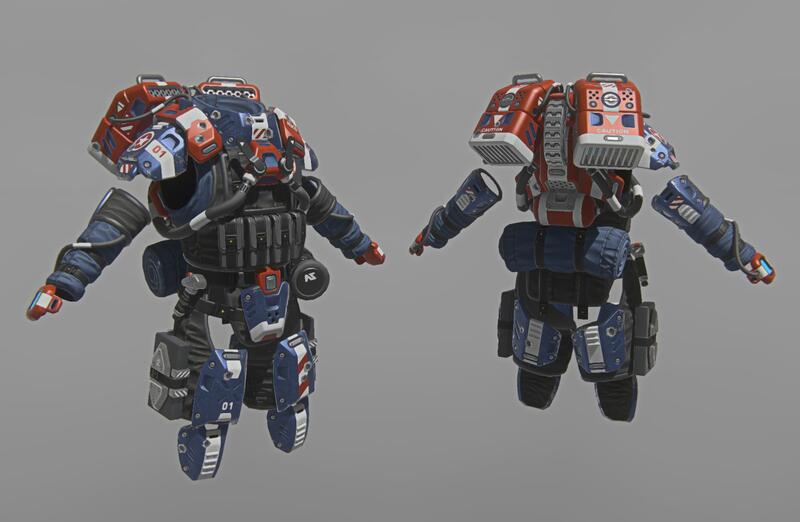 These jump jets are max rank Skirmishers with a patriotic twist. For New Conglomerate characters only, a stylish Independence Day variant of the Nomad Light Assault armor will also be available in the Depot. Starting the 4th of July and running through August 31st, we'll also be kicking off a summer event, complete with a new directive line, rewards, and complementary weapons to tame the Indar heat. Check your secondary weapon slot to find the new Soldier Soaker pistol, able to pelt enemies with a blast of water. Water Balloons can also be found in the Grenade Slot. These balloons detonate on impact, and deal moderate damage. Both the Soldier Soaker and Water Balloon kills contribute to the a new Summer directive, and these items will disappear from players' loadouts when the event ends. We've introduced three new Flash Weapons as summer event rewards. These items will go into the Depot later in the year, but for now you can unlock them early and without a cert price. The Buzzard converts the flash into a makeshift artillery platform, using heavy high explosive shells with a large blast radius. NC use only. The Starfall fires a quick 3 round plasma barrage, meant to strike at unsuspecting vehicles with lighting speed. VS use only. The Pillager lays down a field of flames which ignite infantry caught within. TR use only. Firing a Phoenix from a vehicle will no longer crash the player's client. Shield Recharging Field has correct HP again. Orbital Strike can no longer be infinitely fired. Squad Members can no longer deconstruct silos unless they own them. Deployable exclusion ranges have been removed from non-unique modules. Players can no longer spawn through walls using the Router. Welding Tool has been removed from the Silo and ANT terminals. MGR-M1 Bishop's Sabot Ammunition now properly reduces the weapon's rate of fire. LA7 Buzzard has a 20 meter arming distance, but this isn't conveyed in the weapon's animations at the moment, and will be remedied in the next update.